The volume of natural resources traded globally has increased over 60% since the turn of the century, reflecting and reinforcing new economic and geopolitical realities and bringing new environmental and social challenges – as well as opportunities. 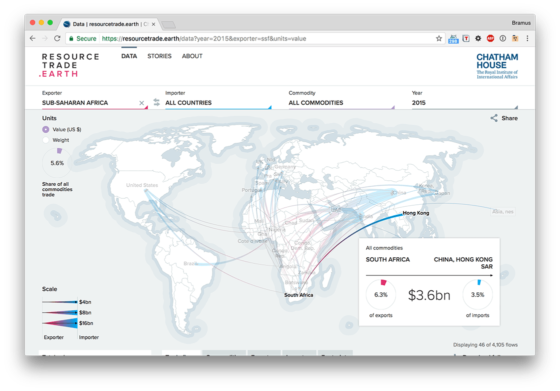 Now everyone can explore these fast-evolving dynamics through Chatham House’s comprehensive and accessible data and insights into resource trade. Tightly executed data visualisation … and it’s interactive too! Very, very, nice work!